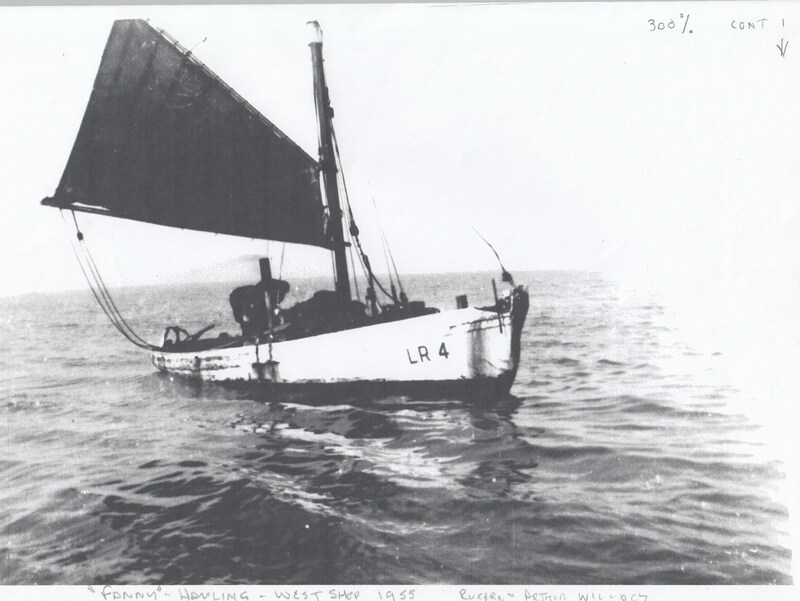 “Fanny” LR 4, hauling her nets in the Black Buoy Hollow. “Fanny” registered at Lancaster as LR 4 on inside moorings for a spring paint up. “Fanny ” was built by Crossfields of Arnside, 1912 for David Willacy, being 28 feet overall with a beam of 9 feet 6 inches, weighing 6.56 tons. She had a motor and was rigged with a mainsail, foresail, jib and a gaff topsail, and with a crew of two. Later owned by Reuben Willacy and then Gilbert Willacy.